The Next Big Spectator Sport: Surfing?! (or) Time we had new startup sports!? Over the past couple of decades we’ve watched as the music sector has experimented with new business models. This change primarily due to new competitor technologies which have lead to new business models (iTunes, Spotify, Soundcloud, etc.). Following in the footsteps of this sector-wide change have been the likes of the stock market sector (eTrading) and banking sector (mobile banking), followed by the television sector (Netflix); and so forth and so on. As sectors are challenged by new ways of packaging information there is the opportunity to innovate new business models. New technology brings the opportunity for new business models, will they sink or swim? One of the more interesting sectors to have *not* changed (or been disruptively innovated), has been the sports sector. This is because sport are primarily (by their nature) conservative in terms of changing their rules. Most large sports organisation have a monopoly: they have no real competitive desire to change their rules rapidly. The mentality of large sports organisation like the NFL, AFL, NBA, PGA is one of “if it ain’t broke, don’t fix it”. There are ‘signs of the change’ through the likes of GoPro, RedBull and other “extreme sport” providers. I believe in the next five years we’ll see these new experimental ‘sports business models’ pay dividends. These innovative sports will lock in on new psychologies and demographics which will come to compete with the older more conservative sports in terms of widespread popularity. Sports which are highly visual in nature requiring ‘Ultra High Definition’ (UHD) of 4K+ pixels. These are usually sports which are either very fast in nature making it hard to watch them on traditional “low definition screens” (i.e. roller hockey pucks, squash balls, speedskating, etc); or, sports which would benefit from crisper “true white” and “true black” UHD colors (snow sports, water sports, etc.). Sports which would benefit from being delivered in smaller packages (3-15 min) segments over mobile phone screens; able to be consumed in the small breaks throughout a day (so as to fit with our scattered social media lives). NB I’m not necessarily advocating for this kind of “shiny bird syndrome”. Sports which inspire ‘awe’ because of new viewpoint-angles (panorama, 360 helicopter) which have not been possible to video record (rockclimbing, surfing, etc) because of new hardware like cheap cameras which are water/shock proof and drones with GPS (“follow the leader” tethering) technology. There are two sports which have drawn me in of recent (from a incubator investor viewpoint): squash and surfing. I’d like to talk about the possibility of surfing as one of these niche sports which are on the rise; hopefully you are willing to tweet me (@DFFlanders) and the World Surf League (@WSL) to provide feedback on if you think surfing could be a sport which grows in popularity? Could surfing as a sport compete with other more conservative mainstream sports?! The data below would suggest so?! As a disclaimer: I currently live in Melbourne where the World Famous Bell’s Beach (oldest running surf competition) is currently taking place at #BellsBeach. The remainder of this post provides some speculation on how surfing could become a more popular spectator sport to generate more business revenue (potentially we’ll see some start-up companies doing some disruptive innovation to increase “fanaticals” even more.). The first disruptive business model I want to talk about is the ability to have a truly participatory fan-base; not just spectating but actually affecting the outcome of the event (real fanatics go to games, dress-up and scream because they think they are somehow participating). 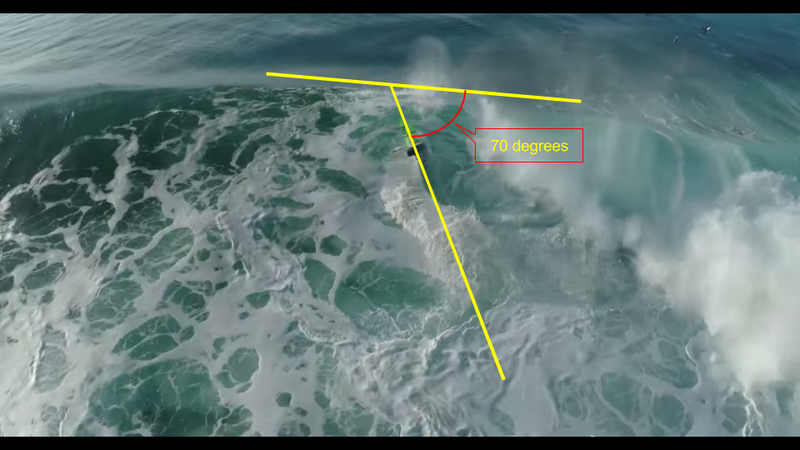 Drone PoV: directly overhead showing the surfer cutting up wave thereby providing an actual shot of “how radical (mathematically) was the turn” from top to botton? 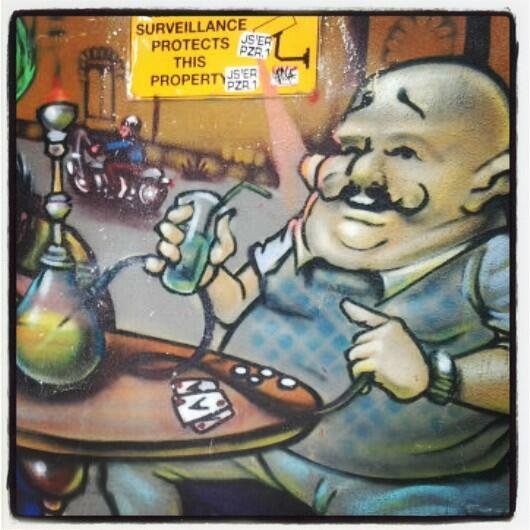 Rad dude! Drones provide the commentators with precious new footage and photography angles by which to provide spectators with an informed decision. Whereby an overlay atop the YouTube video could provide a quick 5xStar survey poll for viewers to immediately provide feedback. These votes might not actually count (due to gamification by the fanbase), but they could feed into new prizes which accumulated throughout the season: “most popular surfer” – “best carve of the year” – “best air of the year” – etc. Drones can provide that “bird’s eye” view of the entire pitch/field which a competitor has to transverse to win. Twitter/Instagram handles of all surfers as part of the onscreen media [increased sponsorship for each surfer in terms of branding via their own channels – healthy marketplace competition]. All-female commentator panels able to talk about psychology, lifestyle, health-living, etc. [target the growing female demographic in surfing]. Less “all-american” male commentators, embracing the world culture which surfing embraces and having culturally-inclusive commentators [increase in sponsorship from governments to attract tourism, new fan bases as developing countries come online like Brazil, India and China]. More “off-pitch/field” commentators showing the lifestyle and friendly-competition which surfers abide (or don’t abide) by as part of a community that travels together worldwide. [more sponsorship opportunities from local communities, as well as greater diversity in purchasing clothing for varying seasons/temperatures throughout the year]. Greater indepth analytics and weather reports for the sports geeks in a hipster world who want more sports data [more technologies being sold for use in the water for hobbyists and spectators]. NB there are often as many pro surf photographers in the water as pro surfers these days. Authored by David F. Flanders, a “hobbyist surf geek photographer” and innovation entrepreneur currently based in Melbourne (other previous residencies include USA, UK & Portugal). = I’ve also been taking squash lessons and experimenting with a GoPro UHD 4K camera to do ball tracking (a squash ball moves on average 150KMH). More on squash anon. I board a flight to the continent once called “Antartica’, which I’ve been told was once mainly inhabited mainly by penguins. My ticket says flight time will be three hours, which for the year 2099 is a rather slow flight to get anywhere in the world; “increased flight safety” due to an unfortunate mid air collision on Air Highway 66 has caused more care than normal to be imposed on the all powerful flight industry. I take a minute to situate myself in my seat which has my custom leg, back & arse cheeks molded into the seat for my flying pleasure. Of course this is just an insert I’ve requested from the airline to make the standard seat more comfortable. If I were a frequent flyer, the airline would 3D print the seat of my choice, but you have to travel around the world at least once a week to be considered for even basic ‘frequent flyer’ status these days. The average executive ‘frequent flyer’ usually have their own cabin including up to thirty custom printed 3D or 2D printed objects of their choice. To say the least, 3D printing has been the most significant innovation of the 23rd century; well perhaps as significant as clean hydrogen energy. Sadly, very few people care about the history of the motor engine anymore, you would think an invention that saved our planet from disaster would be more appreciated – I can only hope that people a century ago would have cared more for our beloved planet?! I decide to read the book on Sir Tim, I sit down, do a little wiggle to adjust my buttocks and recline my seat to the recommended 60 degree reading angle and wait for take-off. I hardly hear the sonic boom as I am transported away into the story. …Despite the air traffic congestion above all fifteen of the mega airports on the continent of Antartica, I’m feeling rather smug that I was able to finish an entire book in one sitting (a rarity these days). Sir Tim’s biography was riveting to say the least. The initial discoveries that occurred in the first decade of the twenty second century at the CERN scientific laboratory just outside of Geneva were more significant to world history than I knew. The red letter date (1991) when Sir Tim discovered the simple system that would allow a hydrogen atom to work in a syncrotron engine – now commonly known as the “hydro-sync” motor. I even laughed out-loud when I read about how large the original syncrotron engine was back in those days; to think, you can now fit one in your pocket – let alone the two dozen hydro-sync engines that powered this plane. What I particularly liked about Berner’s-Lee biography was the additional social-historical narrative that was weaved around Sir Tim’s life. How the simple hydro-sync motor almost single-handidly ended wars overnight (of which the author made a rather compelling argument that most wars were started for taking resources from other countries, such as oil). However the part I enjoyed the most was the way in which the biographer described the hydro-sync motor as the ‘right hand’ of modern society, and that the technology of “3D printing” as the left hand. In combination, (these two technologies) brought about the economic revolution that we live in today. A world defined by travel and experiencing as much of the real world as possible. I took a moment to contemplate how our world would be different if 3D printing or Hydrogen motor technology had not been invented. The biographer claimed (and I’m looking forward to checking out this theory when I land in Alexartica), that both technologies (3D printing & Hydro-sync motors) enabled the airline industry to basically take over all other industries, including what the author called “the banking industry”. Of course, you hear of stories about New York and the stock exchange, but all that remains are pictures in books since Manhattan is now under water. The biographer ended his book with a rather amusing story about how Sir Tim gave up another invention of his called ‘the internet’. A technology that would end the need for paper, naturally I smiled given the place I was about to visit and my own personal research topic. I smile with approval in recognition for the first female mathematician of my own profession. This inscription is above the great door as I walk into the Library of Alexandria at Alexarctica (though of course this building is not just a library, but museum, gallery, archive, travel agent, and crossoads for anyone and everyone in society, regardless of creed, race, religion or affiliation). Naturally, the great ‘i’ is the next thing I see as I approach the ‘information desk’. The librarian that greets me not only has a perfect voice but is impossibly multi-cultural in her beauty having been hand picked for her international genes, green Irish eyes, lush Philippians lips, thick Japanese hair, smooth Brazilian skin, strong Australia legs… I’m interrupted before I can finish my observations. “How can I help you today, Sir” she says in a perfect English accent. I quickly pull out a letter that has all the right signatures and hand it over to her, almost too dumb-founded to speak. I attempt to soften my American accent “yes, yes of course”. “And I can see by this letter that you are here to see our Archival team?” she asks. “Yes please” – I hear my voice echo in the massive space covered floor to ceiling with marble. I nod my head and walk towards the direction she is pointing me. To try and summarize the Library of Alexander on Antarctica is futile. Besides, there are more books, radio, movies and television shows which feature the Library of Alexandria than can be cataloged. The start of every great best-seller this century begins in some part of this building (usually a long lost and forgotten exhibition); I’ve yet to read a mystery novel that doesn’t have entire plots lines based on the mysteries within this ‘library or libraries’. My favorite mystery novel being The DaVinci Code, part two. I’m about to walk into the exhibition which I’ve been instructed to see when I notice an introductory movie about ‘the Library of Alexandria’ about to play. This short film is one that every child the world over has seen, and it has fond memories for me, I decide to indulge by reminiscing, so I sit down to watch it again. “Welcome to the Library of Alexandria” the narrators voice begins while the video shows the main entrance I just walked through. The narrator slows down her words: “You are about to start the greatest adventure of your life, not only is this adventure provide the most exciting moments in your life, it is also an adventure that that will last you your entire life” the camera zooms out showing the size of the port at the entrance of Alexarctica (including the adjacent airport), then zooming to show the entire building which takes up about two thirds of the landmass that is Antartica, and finally the camera zooms up into space to show the satellite images of the building nicknamed ‘the thumbprint of god’. “Today you begin a journey that has more paths than you can imagine, today you will begin to make the most important decisions of your life”. It is here in this library that we are able to bring together all the great cultural objects of the world under one gigantic roof” a montage of statues, paintings, books, buildings and every other kind of cultural object goes by in the blink of an eye “It is here where you will decide where in the world you should go next so you can make the most of your leisure travel pursuits!” The video fades into a multitude of songs and sounds to represent even more cultures and different parts of the world. The narrators voice ceases the musical montage “But how did the Library of Alexandria begin? – I hear you ask” as videos of Antarctica are shown before the building began. ‘We’ll let’s begin with *how* this building got started” A video does another quick montage of photos showing that we are going back in time. “The Library of Alexandria was built in five years, which makes it the fastest building of this size ever built. Of course, this was only possible because of the 3D printer robots that we all know and love, our little robot pets which can print any object we so desire on demand.” A video of a golden-retriever-3D-printer-robo-pet is shown, with a little face on one end for children to respond to along with a little tail that can extrude various materials out of its tail to build up the layers of an object (like the layers of a cake). The child in the video touches the mouth of the robo-pet three and the ‘dog’ quickly extrudes a vegetable food substance out of its tail which quickly is built up layer by layer to look like a rattle, the child grabs the veggie rattle and bites into it. “The builders of ‘The Library at Alexander at Antarctica’ was built by early versions of our beloved robo-pets; working like bees or ants these robots were able to swarm around and melt down the abundant ice in Antarctica and then extrude the water again as ice blocks so as to build up the great walls and structure of the ‘Library’. 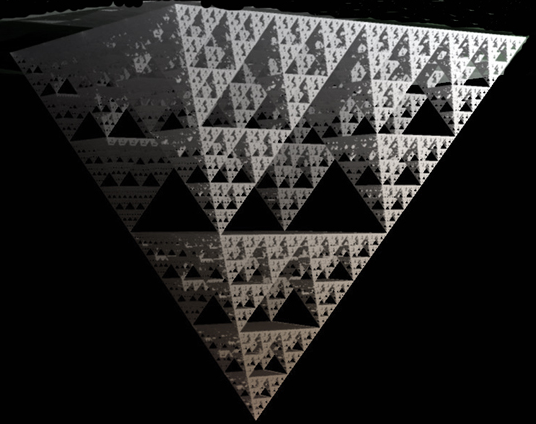 The robots continue to build and rebuild walls to this day using the same method (following the fractal pattern of the building). The perfect shape of the building as seen from space is called a ‘mandelbrot fractal’ and is only possible because it was 100% machine built. The entire building was made without a single person setting foot on Antarctica, the entire effort coordinated via ham radio and satellite connections. Of course you and I know the building by its nickname ‘the fingerprint of god’. During the narrators descriptions the video shows thousands of robots as they swarm around building up walls of ice by extruding ice blocks. Some truly impressive historical footage. The video continus with the narrator segueing “Once the great building was complete, and of course suitably insulated, the doors were opened for business. Every country in the world started sending boat loads full of their most precious cultural objects, though of course none of these objects were the real object, rather they were all copies. Sculptures such as the statue of David from Italy, paintings such as ‘War’ by Picasso, scaled-down buildings such as the Kremlin from Russia, historical artefacts such as the freedom bell from America, even geographical replicas such as the great barrier reef exhibition from Australia. And all of them a 3D printed copy, some perfectly accurate, other scaled down and done in different materials and colors to entice the tourist. But all copies. At this stage the camera show a view of where I am sitting and starts to zoom through the various exhibitions and halls, far faster than any thing could move. “Here at Alexarctica a person can go through several dozen exhibitions in a day to help them decide where they should go to next. It is this planning of one’s travel life that makes us who we are and enriches the short lives we get to live on this planet.” The video slows down, moving to a final set of doors, which opens revealing a vast circular space miles in circumference and thousands of feet high; with books from floor to ceiling, reaching up to the heavens where the largest sky light ever seen allows light to cascade down across the books around the room and onto the desks on the ground. The voice-over proudly states: “And of course, the final destination of every tourist is the great reading room. I’m tapped on the shoulder distracting me from the engrossing video, and I look up to see a bearded man in a corduroy coat with leather arm patches. “Interesting story isn’t it” he smiles at me. I return the smile and respond, “yes, and incredibly timeless given how old it is” . “Well we’ve updated bits and pieces of it, every time the tape wears out we tend to splice in a little bit more” he replies. I stand up and hold out my hand, “I’m Mr. Dewey”, he shakes my hand ‘thank you for coming Mr. Dewey, I’m Professor Flanders. ================================”Once upon a time, when people were restricted by how far they could travel or even what countries they were allowed into, they didn’t bother to plan out their travel journeys.” a shocked cartoon face appears. “think about how carefully you plan your work or even your day, yet most people before the Library of Alexarctica would not take the time to plan their own lives. Afterall, you’ll only get 50 days off of work per year to travel where YOU wnat (only ten years of your life!). Think of how little a child learns in the first ten years of their life – so plan your travels well! A montage of a family picking where they want to go and getting on a plane begins when I am tapped on the shoulder. I smile, as I recognise the mans picture from the letter he has sent me: “Hello Mr. Brindley” I say. Mr. Brindley, starts to usher me away “naturally, but first we must take you to our department” – I’m given a seque scooter and lean forward to follow Mr. Bridnley as he zips down a straight hallway with no end in site. Most of the sessions at OKCon were nice, but there was was one session that made the entire trip worthwhile for me. In short, the following is my recommendation for the people you should go and google right now. First up was @floppy whose tag line is going to be my next t-shirt: “we need to bring the world of Open Source to Open Data” – followed up by the reminder that the Open Data world hasn’t even got a sourceforge, let alone a github ecosystem and all the tools that Open Source developers have at their beckon call to work with code. I love this analogy, as data is its own kind of code and deserves as much attention to tooling as code. Best of all @Floppy is actively working on enabling data spreadsheets to be forked via GitHub/GitLab in the same way that code is, which means all the tools that GitHub provides could be applied to tabular data as its own kind of code base. In short, watch this space as the future of data is going to be via developers playing with it in active real world communities like this. Next up was @maxogden who is one of those developers who is creating what looks like the future of tabular data through his new file format .dat (short for data). The simple code library that @maxogden is creating does the transformations that data developers spend hours doing, e.g. geting excel spreadsheets into databases and vice versa. In short, Data Developers waste a lot of time on ‘code glue’ moving spreadsheets and small tabular databases (access/sqllite) into more powerful developer tools like MySQL or even better JSON databases like CouchDB. The DAT tool is alive and kicking and saving developers hours of their time; it scratches an itch and should be used by everyone today making .dat files the de facto mime type for data! I’d like to pontificate a little more on Karthik’s work as it is something we plan to actively role out via Melbourne’s Postgraduate Programming Club – and ideally participate more in the community that @rOpenSci project is achieving! Why R aka #RStat aka #RStudio? R is for ‘Researcher’ IMHO, because it is a fully fledged programming language for researchers. Here are some of the things I’ve discovered about it over the past six months as I’ve gotten involved with the quickly growing community! First off I should state that I believe every researcher from Humanities to Social Science to Physics to Mathematics will need to learn how to code on some level. We need a programming language that can be reproduced, R is for Research. We need a programming language that are as easy to repeat as sharing and opening up a file, R is for Research. We need a programming language that we are able to cite, R is for Research. We need a programming language that is lab book like, R is for Research. We need a programming language that integrates with the publishing process, R is for Research. We need a programming language that shows research data and research code next to each other, R is for Research. We need a programming language whose syntax and notation is akin to academic scientific notation, R is for Research. We need a way to track any and all research scripts assuring that they are archived for future consideration by researcher both in that discipline and outside that discipline, R is for Research. 3D Printing: Are you ready to innovate like never before?! – David F. Flanders has been involved with a specific type of 3D Printer (and its community) called RepRap since 2009. The moment David met Dr. Adrian Bower he knew that the world would never be the same (listen to Flanders and Dr. Bower talk on the BBC’s Click Radio programme). Flanders alongside his fellow “Digital Blacksmiths” built a first generation RepRap known as the ‘Darwin’ and since then this printer has ‘printed’ four grandchildren and six great-grandchildren (and a quad-copter!). Flanders continues to roam the globe encouraging people to participate in ‘3D Printer Parties’ which “barn raise” 3D printers in a weekend. Flanders will teach anyone from six years of age to one-hundred-and-six years of age to design and print their own objects. David firmly believes the revolutions that desktop 3D printing will bring about will be by inspired individuals working independently and in collaboration with other talented individuals (“wisdom of crowds”). Most people who have worked with 3D Printers (and it goes back almost thirty years now) have been focused on something called ‘Additive Manufacturing’. The difference with the RepRap is that it is NOT ‘additive manufacturing’, in fact it is not manufacturing at all, in the same way that owning a desktop paper printer is not the same as owning a newspaper printer (think about what desktop paper printers did to the market). The coolest thing about the RepRap is that it is a project whose goal is to create a 3D Printers that can print itself (…cue Terminator soundtrack). The reason this Desktop 3D Printer is so revolutionary is because it democratizes manufacturing, for those of us lucky enough to have a laptop and a 3D printer on our workbench; we suddenly have the ability to be innovator, designer, smelter, manufacturer, market and be the salesperson all in one! Think about that – to have the ability to have a Eureka moment and within the same day design the object print it and sell it to someone else. Currently working at the University of Melbourne where Flanders is hoping to enable the next generation of brilliant inventors to change the world with 3D printing. Runs a summer school where students are given the ability,to innovate and print 7 products in 7 days. 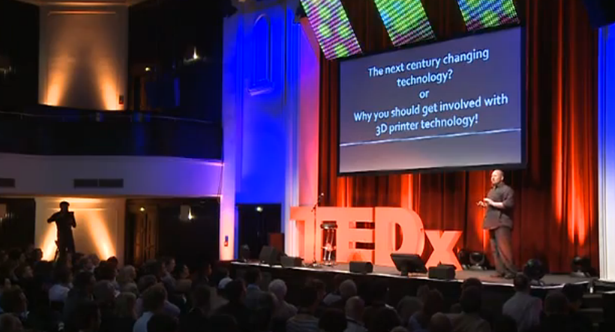 Your truly giving a talk at TEDxHamburg on the Future of 3D Printing. I’m pleased to announce my new job as “Research Community Manager” at the University of Melbourne. Hello to my new colleagues at the University of Melbourne, I look forward to meeting with you in person. The University of Melbourne’s Research Community Manager will make sure the left knows what the right is doing, that duplication is limited, that people feel a sense that you want them to do the best, most innovative research they can muster; all within a climate of innovation, accuracy, freedom, and limitless information empowerment! This number is massive for a community, and when you consider how many more people these +25k researchers collaborate with beyond the walls of the institution internationally it almost feels impossible to imagine how change could be affected… or is it? Researchers might not see it yet, but there is an interwoven community waiting to emerge via tools+data. “The paramount objective of this position will be to inspire researchers with new ways of doing their research through building the community around the new core research paradigms of tools+data. Researchers and research students** interact with information technology every single day, and they are becoming more and more dependent upon digital tools to do their work. These digital tools along with the IT skill levels differ widely between disciplines. The traditional IT helpdesk simply cannot support the breadth of tools and the depth of support needed by the community. The University has already undertaken a multi-million dollar programme of works in the last three years to build IT services tuned to the needs of researchers, including cloud and data storage infrastructure. However, there’s still a long way to go in solving the researcher’s problem of ‘what does this mean to me?’, and mapping their research problem to solutions that are supported by the technology. The above problem provides us with a great opportunity to establish communities that are cross-disciplinary which can support one another in new technology adoption (helping create a more porous University, bringing researchers out of their departments to work across new tools+datasets. This model will engage and inspire researchers, help solve their everyday research problems and (most importantly) address the needs of the digital era within which we live. After all, researchers don’t consume IT services, they consume collaborations. So what are the pragmatics of this post, how do I even begin to support Dr. Manos’ world-first vision!? First and foremost, is the team I’ll be working with (who thanks to previous engagements I’ve already had the pleasure of working with, and am looking forward to doing so more). I’ll introduce my new team via a further blog post, hopefully over on their blog. Second, is the audience. If the above vision is going to have an effect on 25K+ researchers then we’ve got to find a way to get their attention. I believe that attention can be obtained through early career researchers, or more specifically though the seventeen-thousand postgraduate and doctoral students at the University. In short, we must approach the community from the bottom-up if we are going to get top-down attention. To achieve top-down engagement we must balance out how we engage our research community from the bottom-up, this will be through the 68% foundation of our community: postgraduates. **So why do we feel that postgraduates are the key to affecting the entire research community? Well, other than the democracy of the situation (68% of the community are postgraduates), is that postgraduates are the ones sitting in the lab atop the data+tools most of the time, and are also the people who can get the professors attention (well sometimes, see cartoon below). 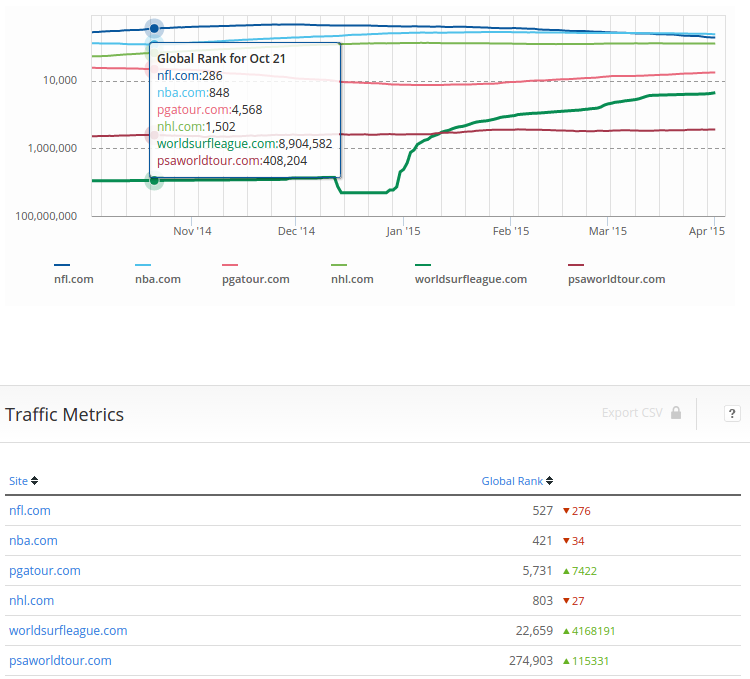 Even at 17k people the community is too large to engage, hence the need for champions. In the coming months, as part of the #ResBaz initiative I’ll talk more about how we are recruiting postgraduate students as research community ambassadors. We’ve already had some success via events like #ArtsHack – stay tuned to the #ResBaz channel! In the next couple of months we’ll roll out several more initiatives aimed at recruiting postgraduate students as champions. For example, we are working on a similar postgraduate workshop utilising tools such as #RStat through global movements such as Software Carpentry via Mozilla and ‘School of Data’ via the Open Knowledge Foundation. This is perhaps one of the most important parts of my job: that we remain outward looking and collaborative in our approach. Melbourne University geographically sits atop the city of Melbourne – the ‘most livable city in the world’ and our research community will accordingly embrace that entire hive of minds. No.1: The University of Melbourne will increase its world ranking as a top-tier University. No.2: The graduates from the University of Melbourne will be the most highly sought after skilled talent in Australia. No.3: The research community at the University of Melbourne achieves more start-ups than any other University in Australia. = not to be confused with a pyramid schema, more akin to the network effect. = As a manager responsible for writing the justification of this community, I’d like to comment on the importance of having both a top-down strategy for engaging world class researcher as well as bottom-up initiatives for engaging researchers who will soon be the new world class researchers. Culturally speaking, my observation of Australia’s research community (in comparison to the UK & USA) has been one where the top-down is preferred over the bottom-up (government funding through eresearch initiatives seem to prefer this approach?). I don’t wish to suggest one is better than the other, just that you need both bottom-up and top-down to affect change. Accordingly, the strategies I will put forward in my new management role will aim to provide this balance, and further-to encourage other Universities to consider (via their own #ResBaz initiatives) how they can help better balance their research engagement processes across their entire research community (not just the top of the pyramid). = I’ve pleased to say that through this job I’ll be able to apply for permanent residence status in Australia making Victoria one of my new ‘homes’ alongside Colorado and England.